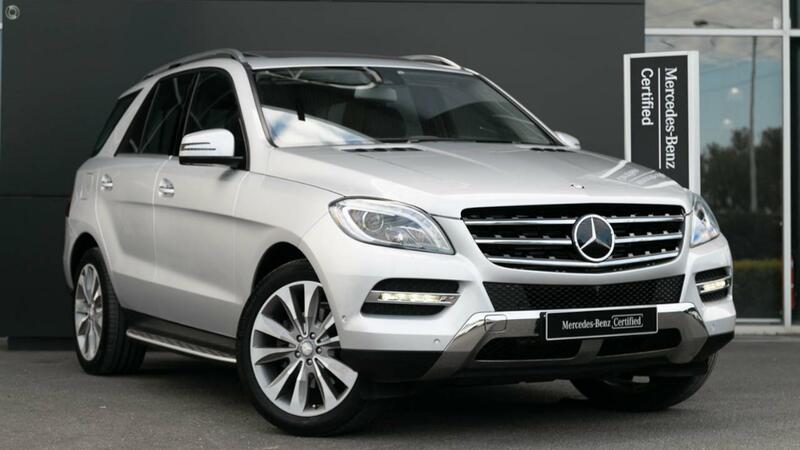 The "Mercedes-Benz Metropolitan Retailer of the Year" proudly presents this Certified low kilometre ML350 BlueTEC 4MATIC with the assurance of 2 Years 100% Mercedes-Benz Factory-Backed Warranty & 2 Years Mercedes-Benz Roadside Assistance Applicable Australia-Wide. Highly specified and perfectly presented in sparkling Iridium Silver Metallic over soft Anthracite Leather featuring Convenience Package including KEYLESS-GO Access and Drive Authorisation System. Take the wheel of your incredibly capable ML350 BlueTEC 4MATIC with absolute confidence - ONLY from a Certified Mercedes-Benz expert and the reigning "Mercedes-Benz Metropolitan Retailer of the Year" again, for the 5th time in 6 years! - Offroad transmission mode with offroad button. - 12V socket on centre console front and rear and in the load compartment. - 192 g CO2 p/km.